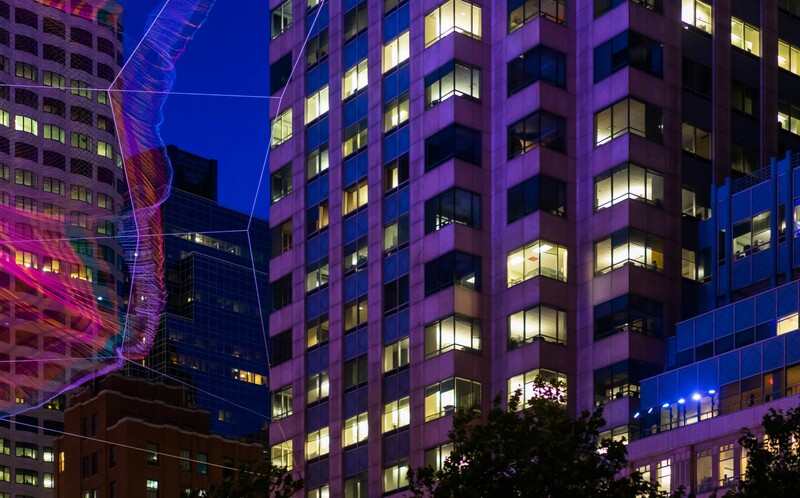 Arup used Lumenbeam Grande RGBW luminaires to heighten the colorful, nighttime presence of Boston's monumental Echelman sculpture. 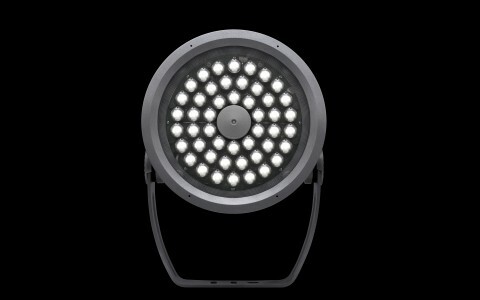 Lumenpulse had just released the new generation of the Lumenbeam Grande, which allowed us to stick to that smaller form factor, instead of having to use larger fixtures. Their intensity and light output was essential. 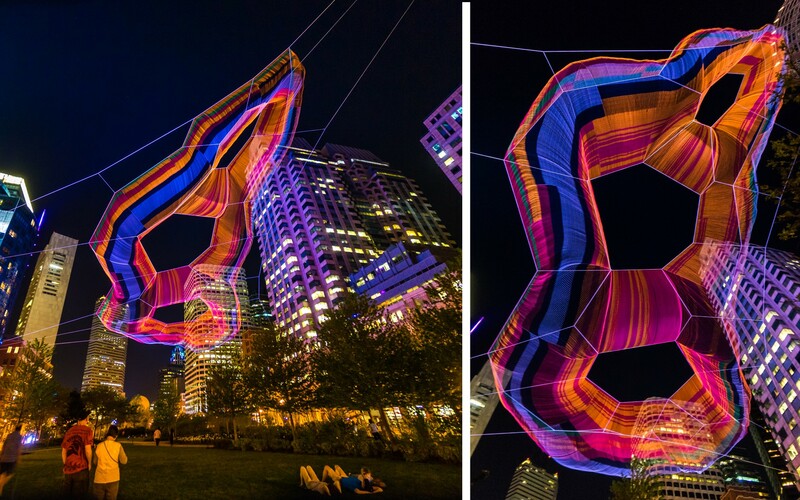 Suspended over Boston's Rose Kennedy Greenway until October 2015, Janet Echelman's newest aerial sculpture is the signature art installation in the Greenway Conservancy's Public Art Program. 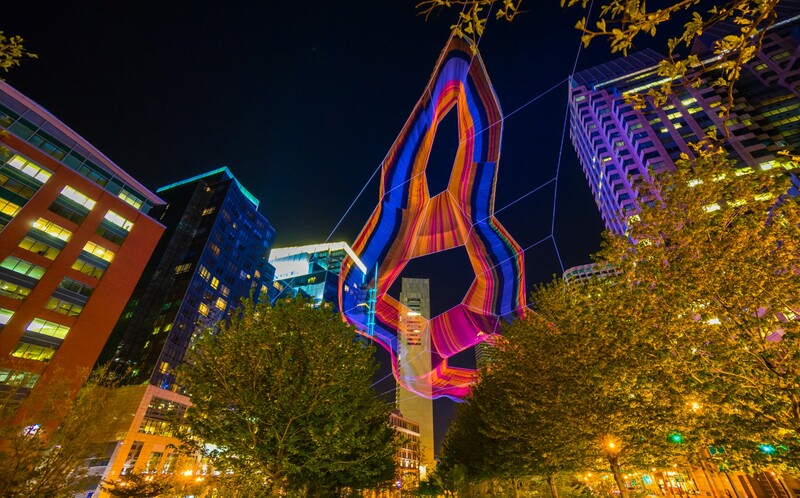 Created out of rope and twine, the sculpture is animated by the elements as it soars 365 feet through the air. 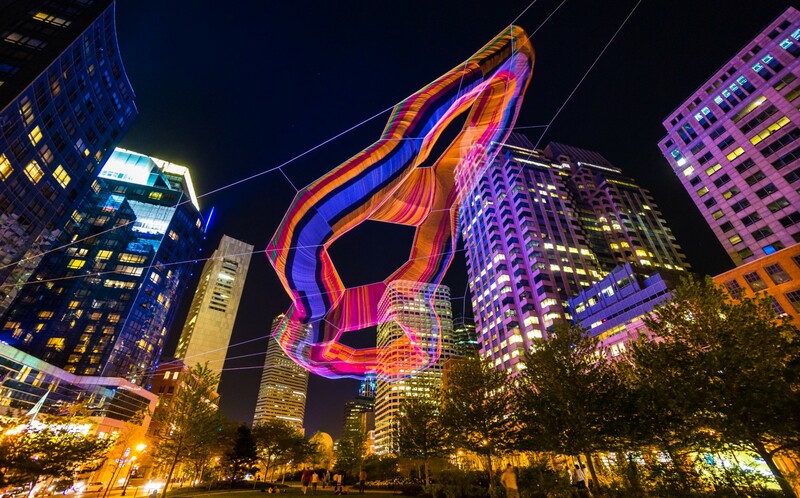 To heighten its ever-changing nature, Echelman turned to Arup to develop a dynamic, color changing lighting scheme that would project onto the sculpture's surface, turning it into an illuminated beacon at night. 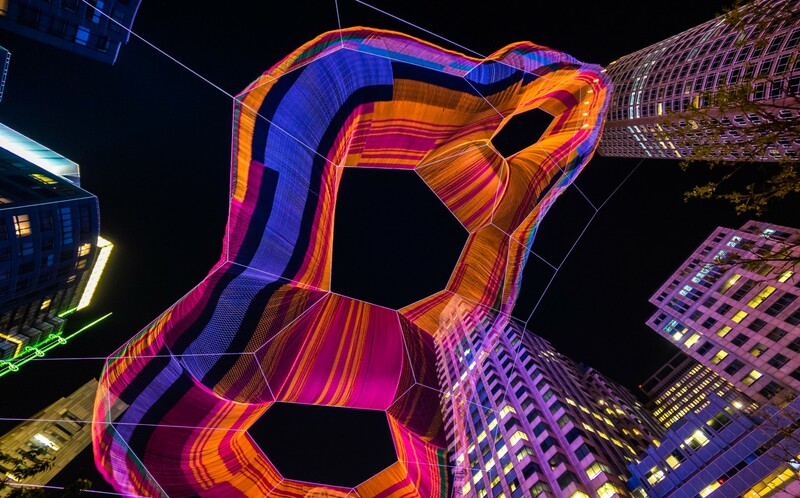 "The design concept was to achieve a soft wash of light across the face of the sculpture, to ensure that the piece was distinctly illuminated in comparison with its surroundings and the night sky," said Jake Wayne, lighting designer at Arup. 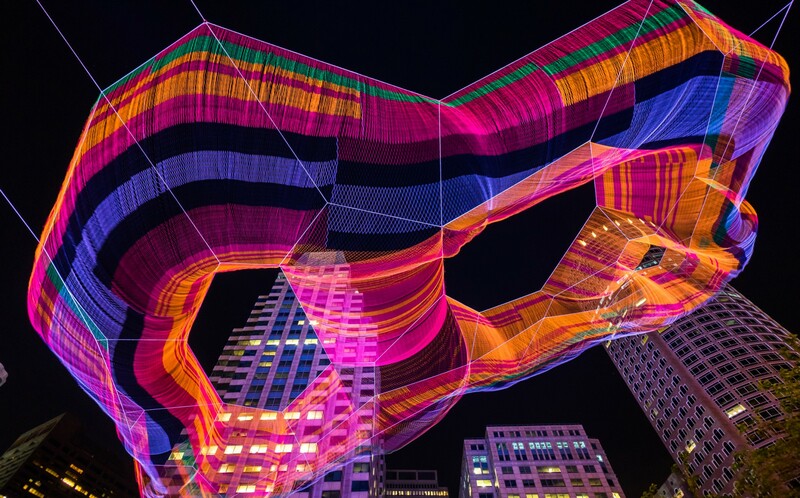 "But the goal wasn't just to cover the piece with light; we also wanted to get the colorful effect that we needed. 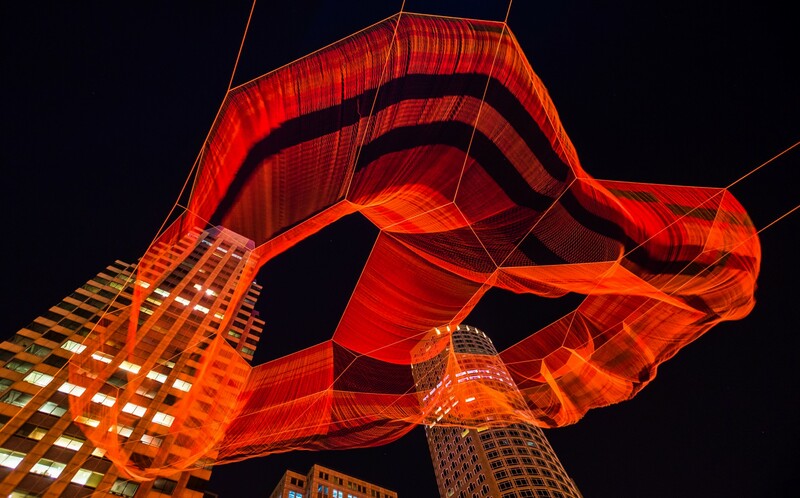 This was harder than it sounds because of the monumental scale of the sculpture - you don't appreciate how big it is until you see it," he said. 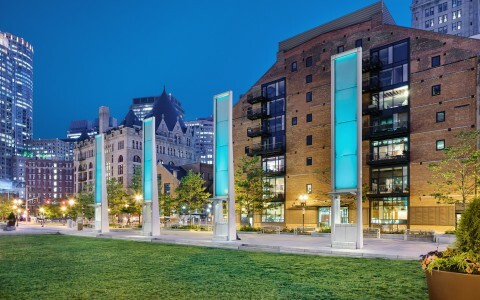 To ensure the necessary light output, Arup chose high-performance, RGBW Lumenbeam Grande luminaires. Carefully focused to avoid unnecessary glare, the luminaires were mounted on existing streetlight poles and adjacent building facades. 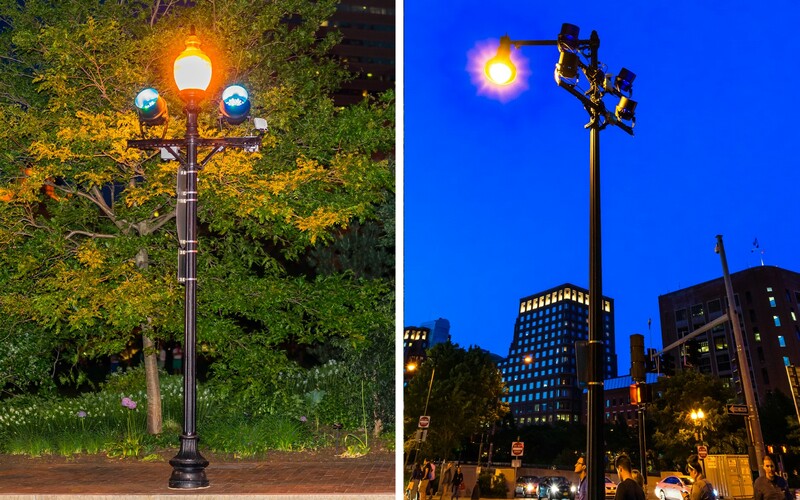 "Lumenpulse had just released the new generation of the Lumenbeam Grande, which allowed us to stick to that smaller form factor, instead of having to use larger fixtures. Their intensity and light output was essential, and with RGBW, we could make sure the whites would pop, and still have a nice palette of colors and hues," Wayne said. 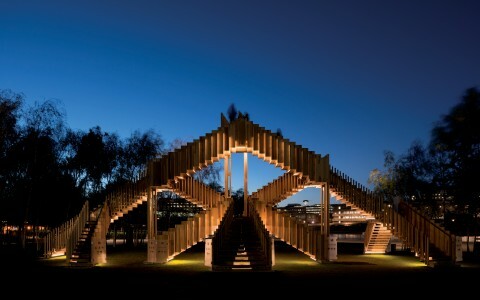 Arup used a combination of 10- and 20-degree beam angles to ensure the necessary light intensity. 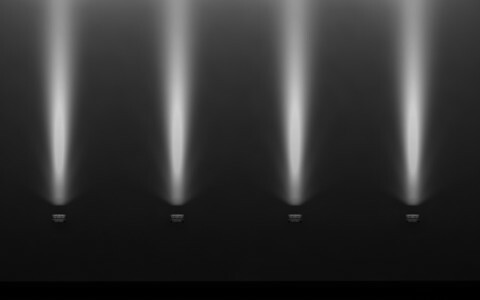 "We found that with this combination we could flood the piece with light, but also offer some tighter spots to add some pop and really make sure that the intensity got to where it needed to be," Wayne said. 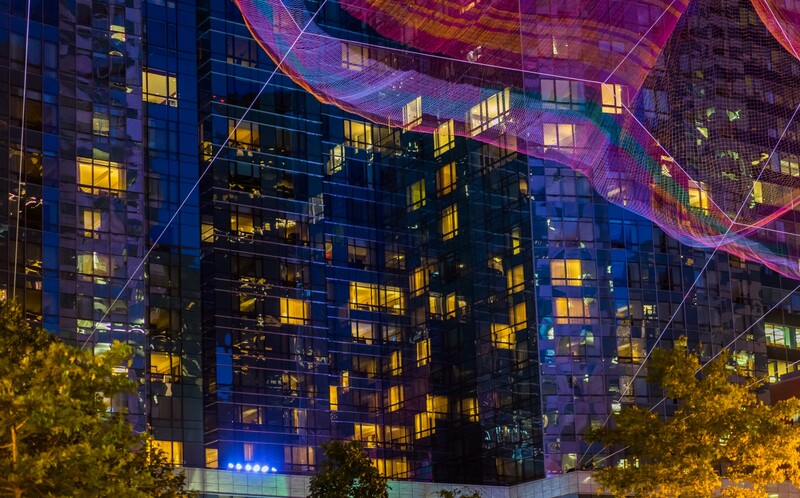 The resulting installation has helped turned the Greenway into a repeat summer destination. 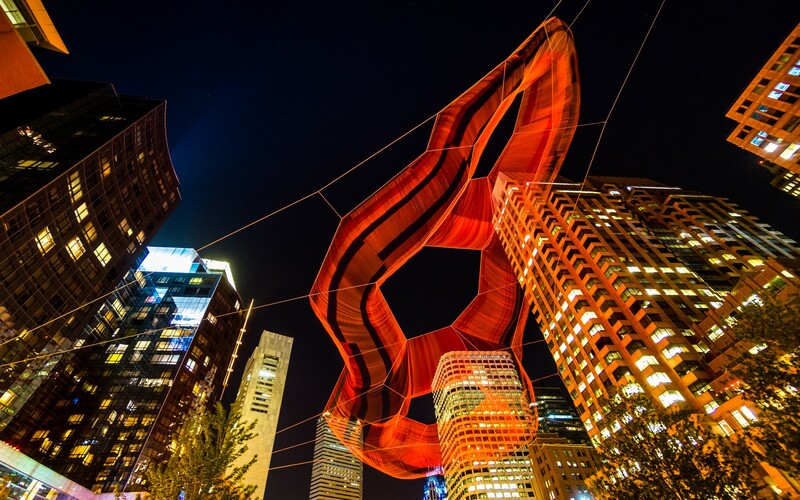 "Every night you see people laying out on the grass staring at the piece, and they keep coming back because it's never quite the same; every time you see it there's a slightly different experience," Wayne said.